International reactions to the State Department’s designation of the Islamic Revolutionary Guards Corps (IRGC) as a foreign terrorist organization varied widely by country. Israeli Prime Minister Benjamin Netanyahu thanked President Donald Trump for the move in a pair of tweets in English and Hebrew. “Thank you, my dear friend, U.S. President Donald Trump. Thank you for answering another important request of mine that serves the interests of our countries and of countries in the region,” Netanyahu, who contested a parliamentary election on April 9, tweeted in Hebrew. In a press conference, Iraqi Prime Minister Adil Abdul-Mahdi said that Iraq tried to dissuade the United States from proceeding with the designation: “We tried to stop the American decision… We and the governmental team [said] that such a decision might have negative ramifications for Iraq and the region. 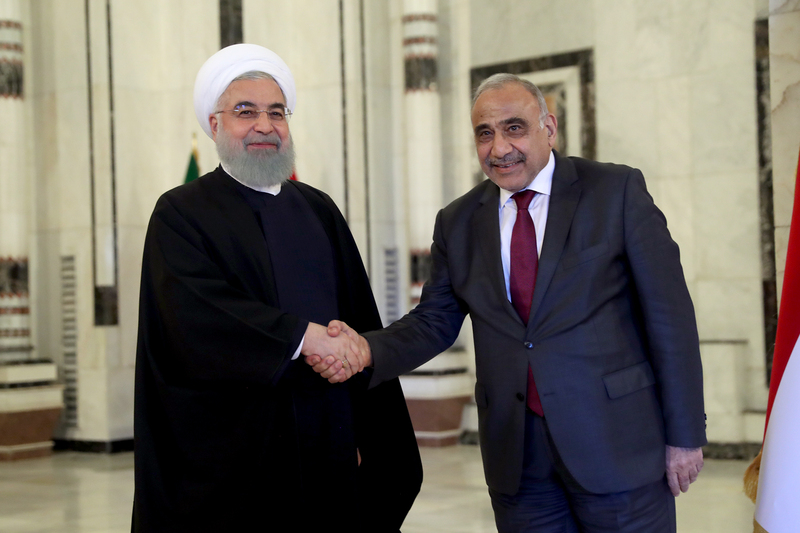 [But] they went ahead with their decision.” Abdul-Mahdi added that Iraq hopes to maintain good relations with both Iran and the United States. Most European countries did not immediately issue statements. A French foreign ministry spokesperson said, “Individuals and entities linked to the Islamic Revolutionary Guard are subject to E.U. sanctions because of terrorism offences.” The spokesperson reaffirmed France’s commitment to the 2015 Iran nuclear deal, known formally as the Joint Comprehensive Plan of Action. Chinese Foreign Ministry spokesperson Lu Kang criticized the U.S. move. “We hope relevant countries, especially non-regional major powers, will do more to contribute to peace and stability in the Middle East and refrain from actions that might lead to further escalation of tensions in the region,” Lu said in a press briefing. The Turkish and Qatari foreign ministers criticized the designation in a joint press conference in Ankara. “These kinds of decisions will pave the way for instability in our region,” said Turkish Foreign Minister Mevlut Cavusoglu, according to AFP. Saudi Arabia’s Foreign Ministry reportedly welcomed the U.S. move. The following is a roundup of international reactions to the IRGC designation. QUESTION: U.S. President Donald Trump decided to put the Islamic Revolutionary Guard Corps (IRGC), as well as its elite unit, the Quds Force, on the international terrorist organization blacklist. Could you comment on this decision? Are you thinking of following the U.S. example by adding the IRGC to the list of terrorist organizations? SPOKESPERSON: Individuals and entities linked to the Islamic Revolutionary Guard are subject to EU sanctions because of terrorism offences. The organization and the individuals and entities linked to this organization have also been subject to EU sanctions since 2010 because of their support for Iran’s ballistic missile program. We will continue to support the JCPOA as long as Iran continues to implement its nuclear obligations. We call for efforts to prevent any further escalation or destabilization in the region. QUESTION: US President Donald Trump officially announced in a statement on April 8 that his administration will designate Iran's Islamic Revolutionary Guard Corps (IRGC) a foreign terrorist organization (FTO). It is the first time the US formally designates a country's military force an FTO. Iran's Supreme National Security Council said in a statement that this measure is "a major threat to regional and international stability and peace". As a retaliatory measure, Iran has labeled the US Central Command's forces as a terrorist organization. Do you have any comments? LU: We have taken note of relevant reports. When it comes to state-to-state relations, China always calls for countries to abide by the basic norms governing international relations based on the purposes and principles of the UN Charter and opposes power politics and bullyism. We hope relevant countries, especially non-regional major powers, will do more to contribute to peace and stability in the Middle East and refrain from actions that might lead to further escalation of tensions in the region. John Caves, a research assistant at the U.S. Institute of Peace, contributed to this roundup.